New Delhi: Telugu Titans rode on an outstanding raiding performance by Rahul Chaudhari to beat Jaipur Pink Panthers 41-34 in a Pro Kabaddi Season 5 on Wednesday. Chaudhari scored 17 points to lead the Titans to a much-needed victory in the match of the Inter-Zone Challenge Week. Pawan Kumar (17 points) was the lone performer for Jaipur Pink Panthers as their star players Manjeet Chhillar (1 point) and Jasvir Singh (0 points) flopped miserably. The first five minutes of the match saw both teams trade raid points with Rahul Chaudhari scoring for Telugu Titans and Pawan Kumar for Jaipur Pink Panthers to level the match at 4- 4. 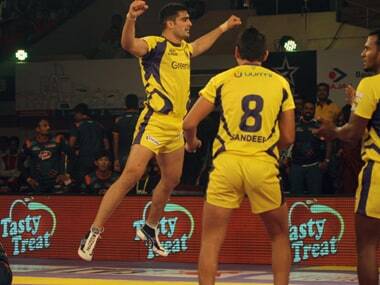 Telugu Titans shifted gears in the next few minutes with Rahul Chaudhari inflicting damage on Jaipur Pink Panthers. Chaudhari scored with four consecutive raids as Telugu Titans inflicted an all-out in the 11th minute to lead 15-5. 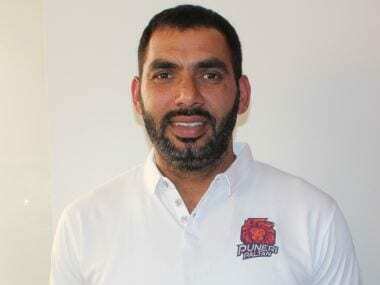 Jaipur Pink Panthers looked in disarray as their bigwigs Manjeet Chhillar and Jasvir Singh failed to score a single point in 15 minutes. It was a one-man show for Jaipur as Pawan Kumar scored seven of their eight points in 15 minutes as they trailed 8- 20. No other Jaipur played scored a single point for their team in the first 17 minutes. Rahul Chaudhari was ably supported by Nilesh Salunke in the first half for Telugu Titans. Pawan Kumar scored with a two-point raid in the 17th minute as Jaipur Pink Panthers trailed 10-21. Rahul Chaudhari attained a super 10 in the 19th minute as Telugu Titans ended the first half leading 23-11. Manjeet Chhillar scored his first tackle point of the night in the 22nd minute as Jaipur Pink Panthers trailed 12- 26. The second half saw Jaipur getting their act together as Pawan Kumar continued to score raid points. In the 28th minute, Pawan Kumar scored a two-point raid and Jaipur Pink Panthers followed it up with an all out in the next minute to trail 25-31. Rahul Chaudhari scored two points in two minutes to give Telugu Titans 34-26 lead after 32 minutes. Telugu Titans kept their composure in the latter part of second half and avoided silly mistakes which has been costing them in the season. A rampant UP Yoddha inflicted a 45-16 thrashing on Dabang Delhi in the Inter Zone Challenge Week match of Pro Kabaddi Season 5 in New Delhi on Wednesday. 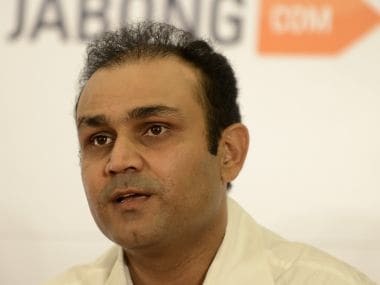 It was Delhi's seventh straight loss as they remained winless on their home turf. Nitin Tomar scored 15 raid points for UP Yoddha and Sagar Krishna got a high five in the defence. Rohit Balliyan scored seven points for Dabang Delhi. UP Yoddha are third in Zone B with 48 points after 17 matches while Dabang Delhi's wretched form continued as they remain at the bottom of the table in Zone A with 31 points from 17 matches. UP Yoddha scored a tackle point in the fourth minute and Tomar scored two points as they led 4-1. UP Yoddha made it 6-2 in the eight minute as they capitalized on Dabang Delhi's defensive errors. Tomar was on a roll in the first half as he scored 10 points to give UP Yoddha 20-10 lead in the first half. Meraj Sheykh failed to get going to Dabang Delhi and could not score a single point in the first half.